From the minute you step into our cheery office you will instantly feel at home. 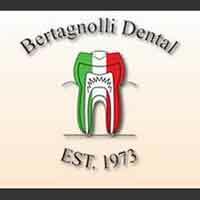 Bertagnolli Dental is a Westminster dentist who specializes in cosmetic, general and restorative dentistry for you and your family. If you are looking for a dental office with state-of-the are procedures, we are the Westminster dentist for you. Our staff offers personalized attention and a wide range of services using state of the art technology and techniques. Some of the services we provide are teeth whitening, implants, crown, general check-ups/teeth cleaning, veneers, dentures and sedation dentistry. We also have an in-house lab to save you time and money. Our goal is to assist each patient in achieving and maintaining long term dental health and a beautiful smile. When you are looking for a Westminster dentist, contact us today. Gentle dentistry at its best!